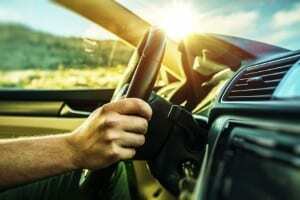 The Freight Transport Association (FTA) has published an updated version of its Company Car Drivers' Handbook, containing key information for fleet operators and road users on how to stay safe when behind the wheel. Outlining several changes in best practice that have come into effect in recent months, the handbook has been endorsed by the Institute of Car Fleet Management and ACFO. Updated information on drug driving legislation – reflecting changes in the legal use of some prescription medications. Details on new lower alcohol limits in Scotland. Removal of the paper counterpart driving licence and what this means for fleets. Updates to fixed penalty charges for offences. Updated information on government agencies. Changes to smoking laws for motorists with minors in their vehicle. Mobile phone use and its potential impact on vocational driving licences. Available to purchase for £3 for FTA members and £3.50 for non-members, the handbook hopes to provide key insights into safety for all individuals taking to the nation's roads. Driving is arguably one of the most dangerous activities a person will ever take part in, it is therefore essential that all road users are fully aware of their responsibilities and risks every time they set foot in a vehicle.